Welcome to the Cobblestone Inn & Suites in Marquette, Iowa. 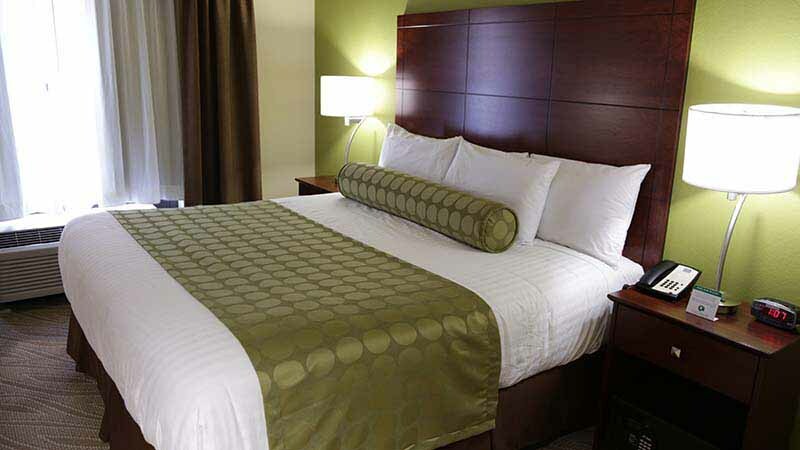 Our beautiful hotel is conveniently located near everything that Marquette, Iowa has to offer including The Prairie Du Chien Airport, Crossing Rivers Health, The Wisconsin National Guard in Prairie Du Chien, WI, the Prairie Du Chien Correctional Institution, and more. Our hotel provides easy access for traveling to and from US 18, WI 27, and WI 35. We are located across the river just minutes from Prairie Du Chien, Wisconsin. In town for business? The Cobblestone Inn & Suites of Marquette, Iowa offers easy access to Gencor Industries, Lazy Gate Mfg., 3M of Prairie Du Chien, Cabela’s Distribution Center in Prairie Du Chien, WI and Prairie Industries, and much more! In town for some fun? Check out Eddie’s Irish Pub, Marquette Bar & Café, The Buffet, Fort Mulligans Grillpub, Coaches, Lady Luck Casino, Eagles Landing Winery, Barr House Antiques and Gifts, Flea Market Under the Bridge, Wetlands Centre Farmers Market, Fort Crawford Museum, the Fur Trade Museum, and more.